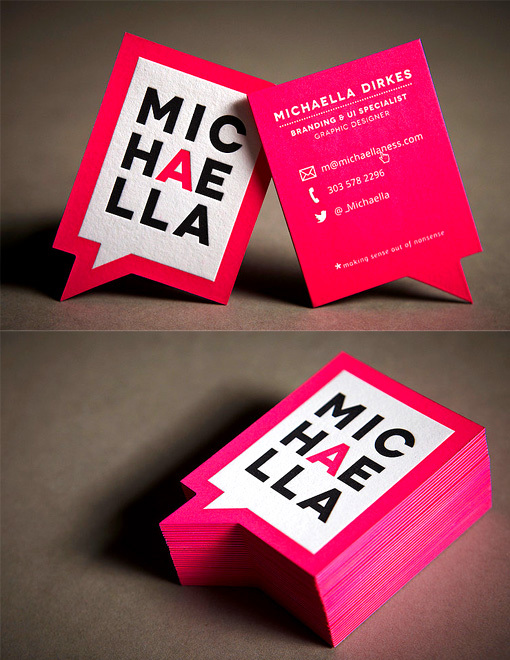 You can't fail to notice a business card which is this bright! Using a colour like this has the danger that the overall design of the card might be overwhelmed, however the designer has cleverly tamed the bright colour by using simple, clean elements and making sure that the design is not too busy or complicated. The custom die cut shape also lends a unique and intriguing shape which sets the card apart from the crowd.